You must be here from the lovely Olga Moss's blog. Welcome to Altenew's April 2019 Washi Tape/Embossing Paste Release. 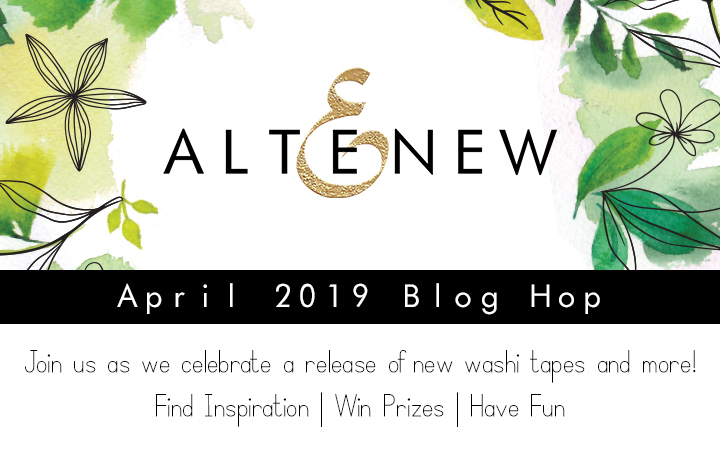 All washi tapes are gorgeous and there is so much inspiration throughout the hop list. I chose neutral off-white with the pop of black for my first two cards. 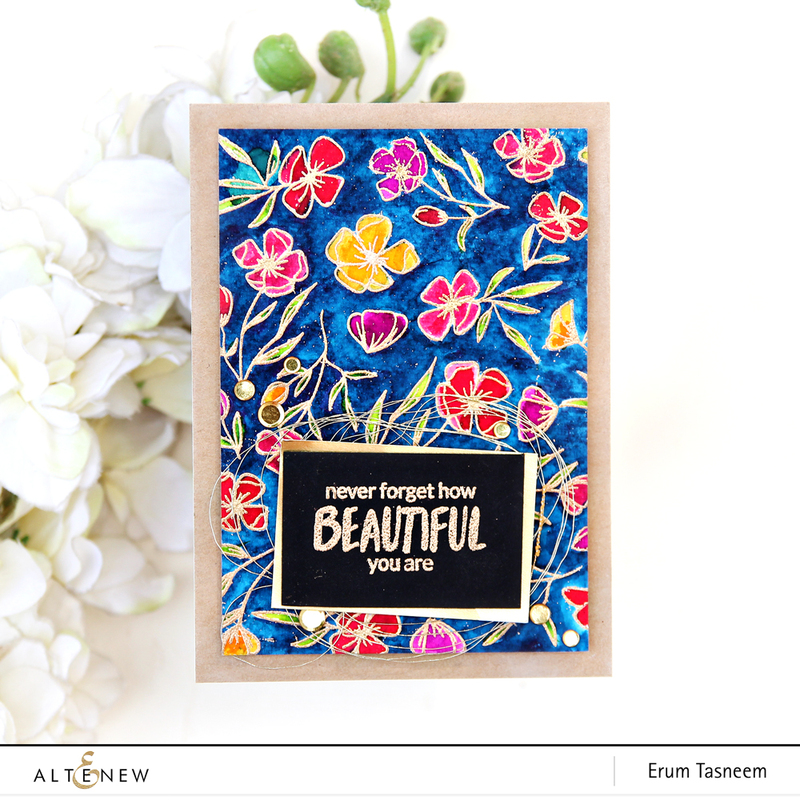 I fussy cut out this big flower and a couple of leafy branches from the Botanical Rhapsody Washi Tape. Before adhering it to the card front, I added a few cardstock strips and black paint splatters for interest. I cut out several flowers out the same washi tape as earlier and changed the layout a bit, with the way I lined the strips. 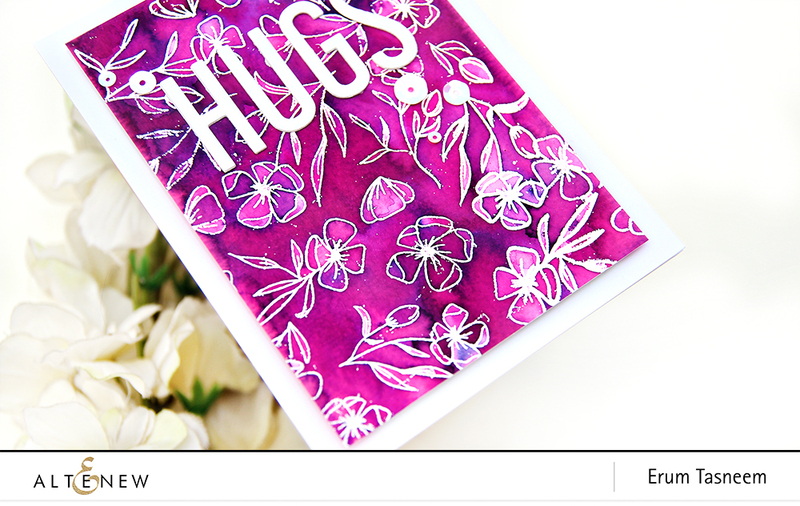 Again, I added a few black paint splatters before adhering the flowers onto the card front. 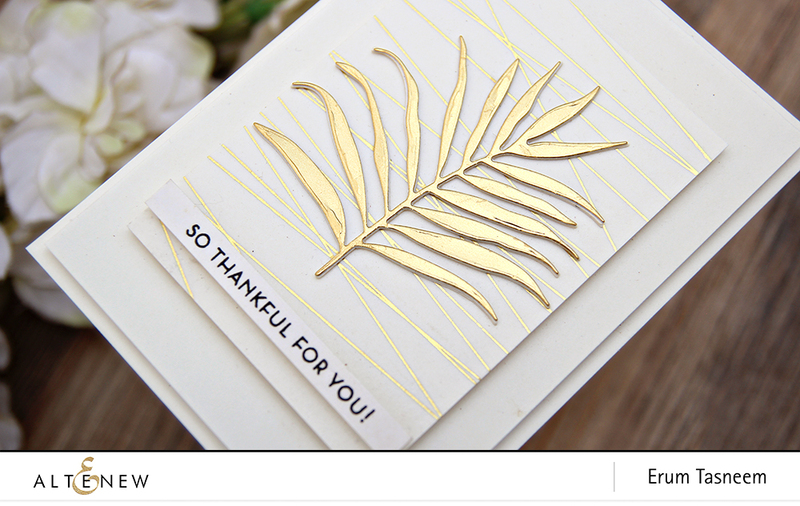 This card features the Gold String Washi Tape and it's absolutely lovely! 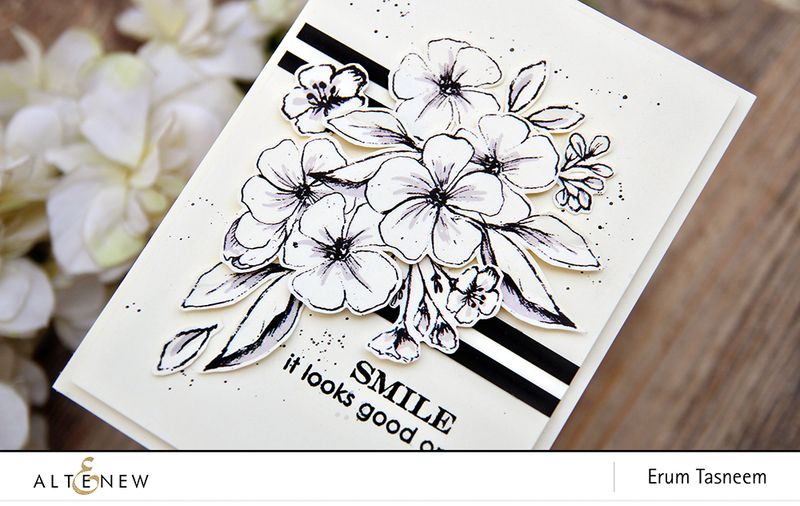 I paired this with the leaf die cut from the Hibiscus Garden 3D Die Set. 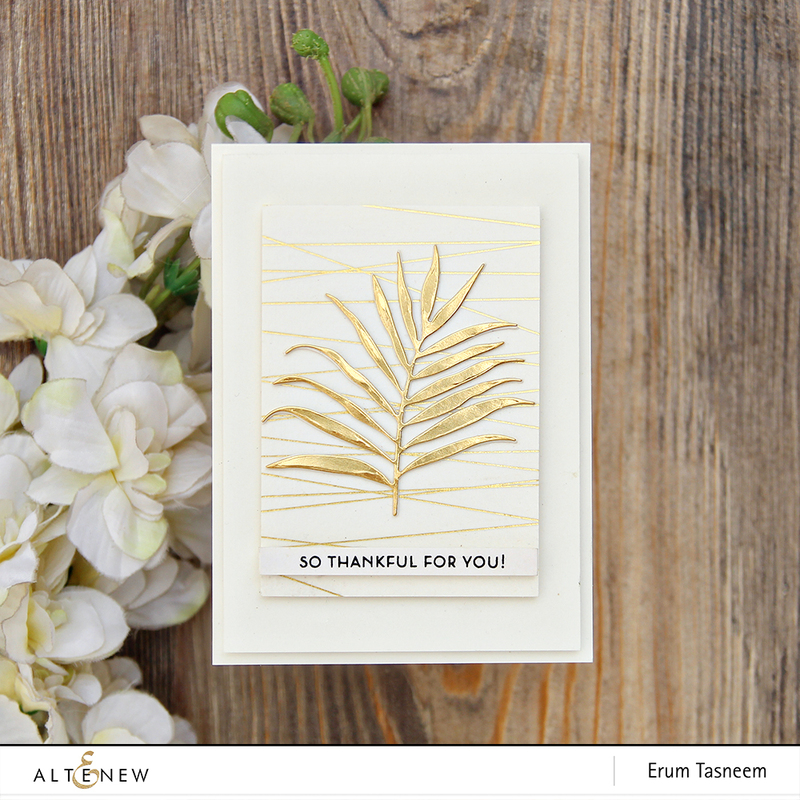 Altenew will also draw a winner to receive a $15 gift certificate from the comments left on this blog. 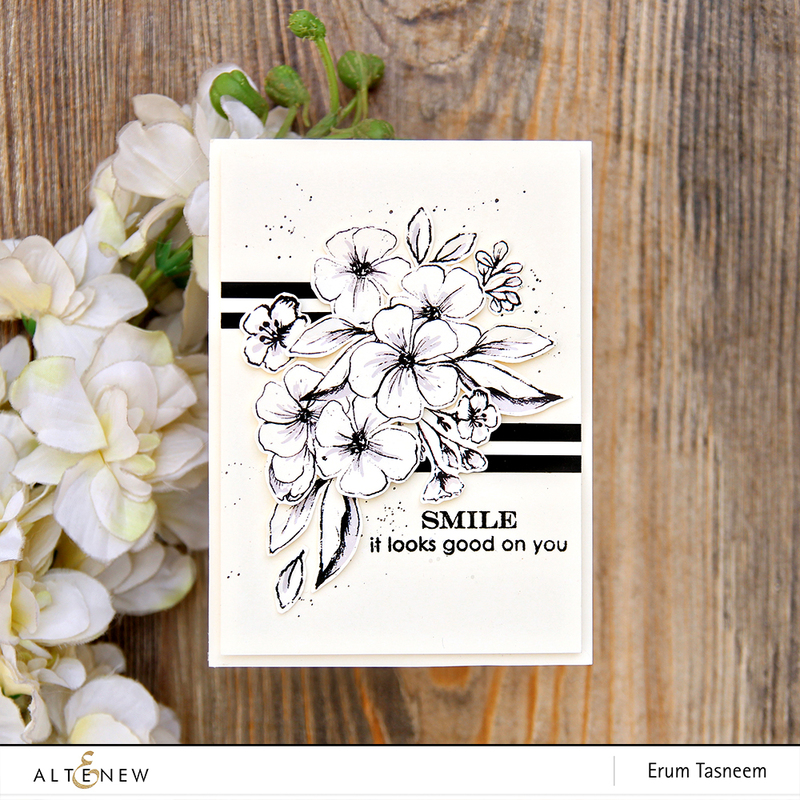 All winners will be announced on the Altenew Card Blog on 5/4/2019. Thank you for stopping by everyone! Your next stop on the hop is my awesome and super talented friend Hussena Calcuttawala. 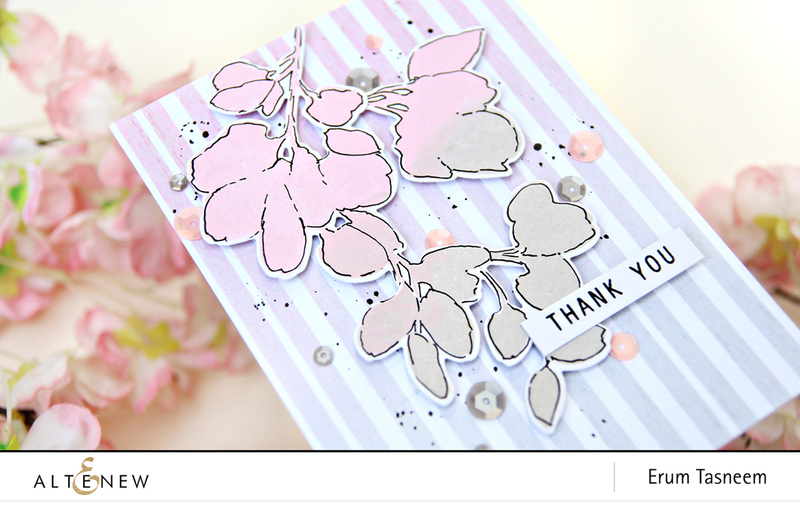 I am sharing two cards today featuring some Pinkfresh Studio goodies. You can check the video below to see how I created these or stop by the Pinkfresh Studio YouTube channel. You must be here from the a-may-zing May Park's blog. I have a few cards to share with you so let's get started. 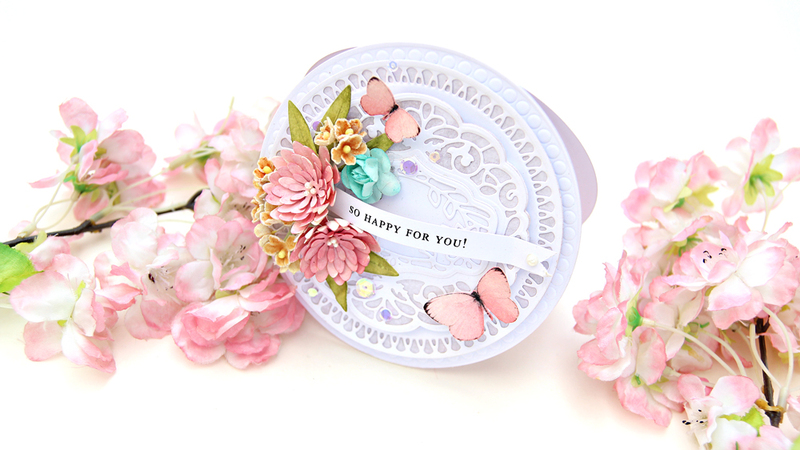 This card features the Bundle of Joy Stamp and Die Set. 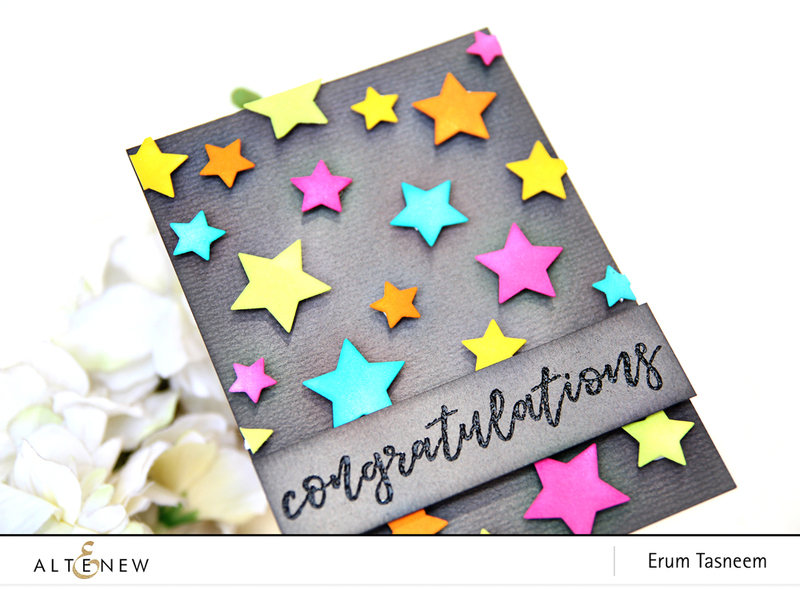 I die cut several stars and inked them with distress inks. Before adhering them onto the card front, I first inked the edges of the card front too. 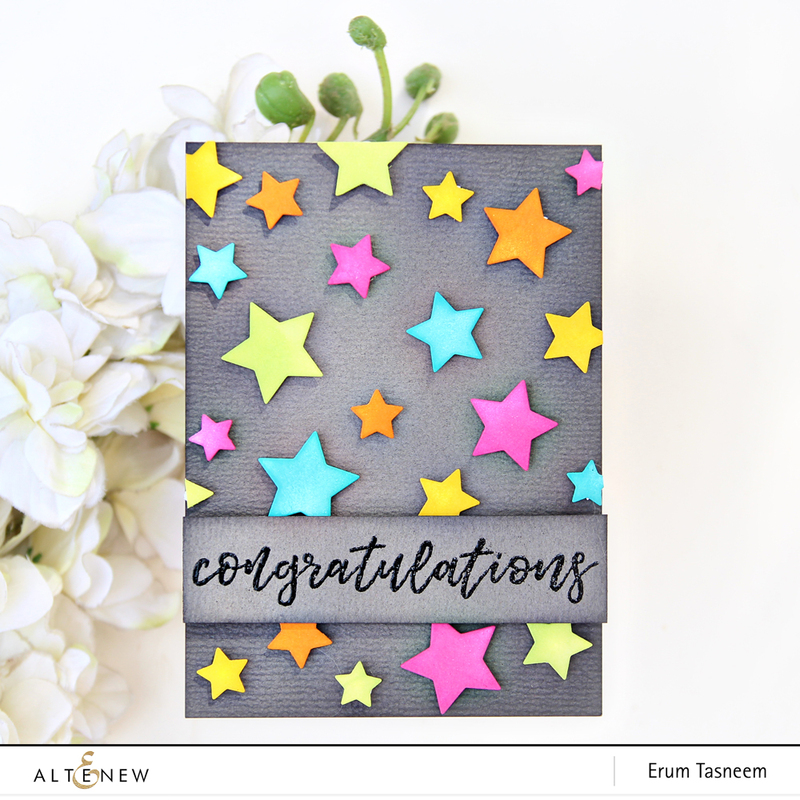 To finish, I mounted a strip of the same cardstock with the sentiment "Congratulations" which I heat embossed with Crystal Clear Embossing Powder. 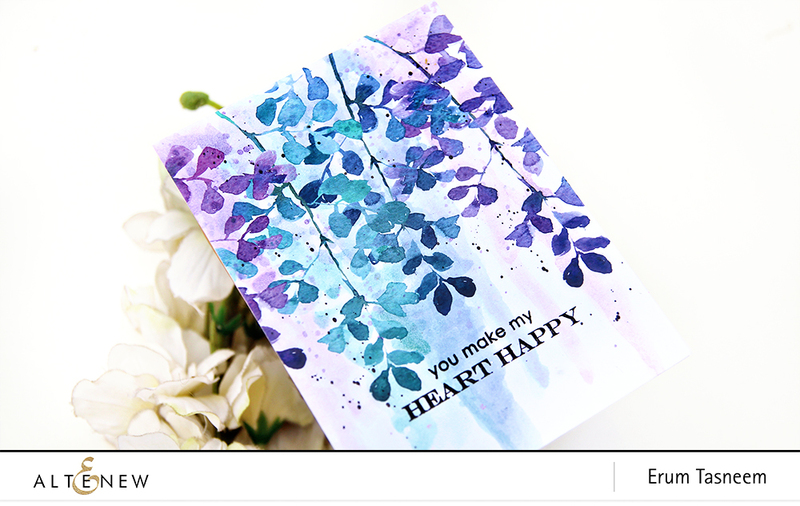 For my second card, I used the Summer Garden Paper Pack and matched the inks with it to stamp the image from A Study in Watercolour Stamp Set. To this, I added doodled outlines. 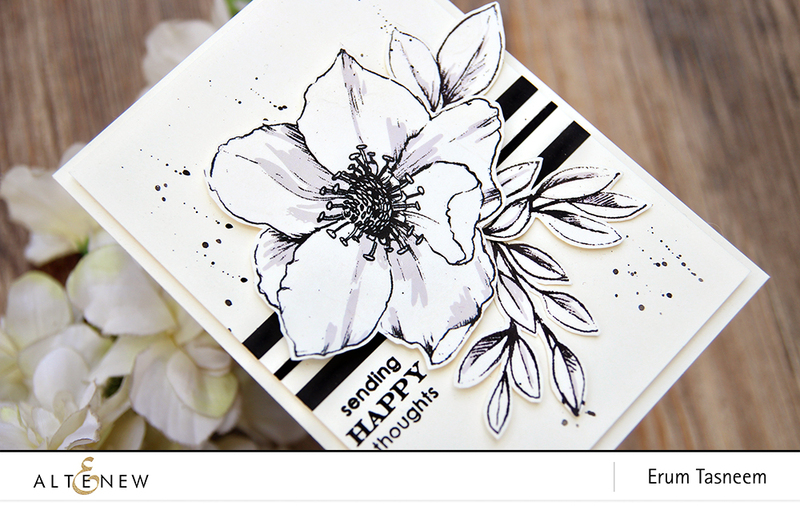 My next two cards feature the Delicate Flower Bed Stamp Set. I have coloured both of them with the Altenew Watercolour Brush Markers. To colour this piece, I used a mix of Purple Wine and Desert Night Watercolour Brush Markers. This colour looks so gorgeous in person. 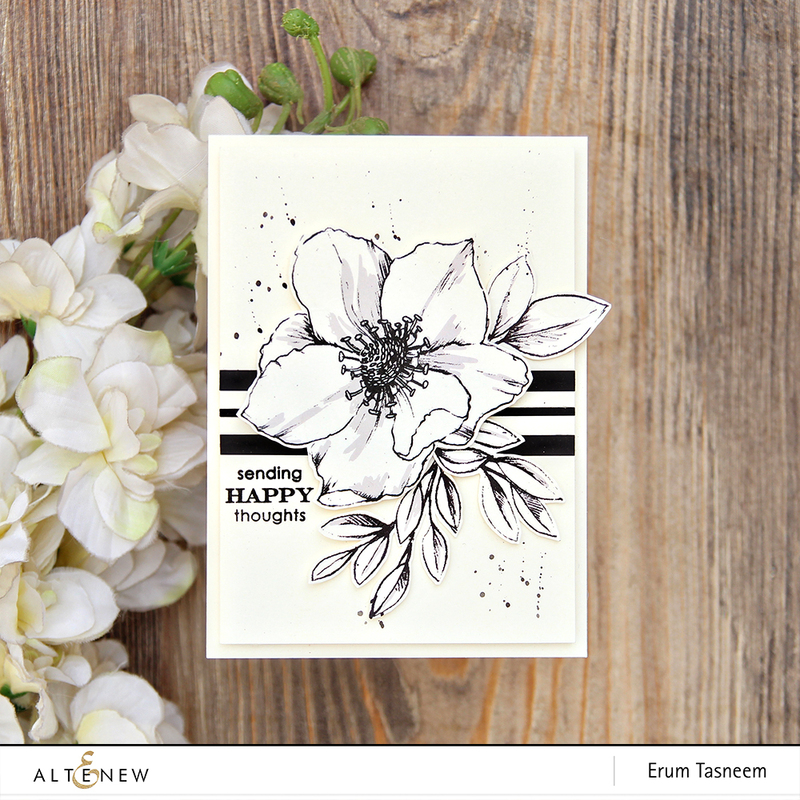 For this card, I fussy cut the floral image out of the pattern paper from the Summer Garden Paper Pack. 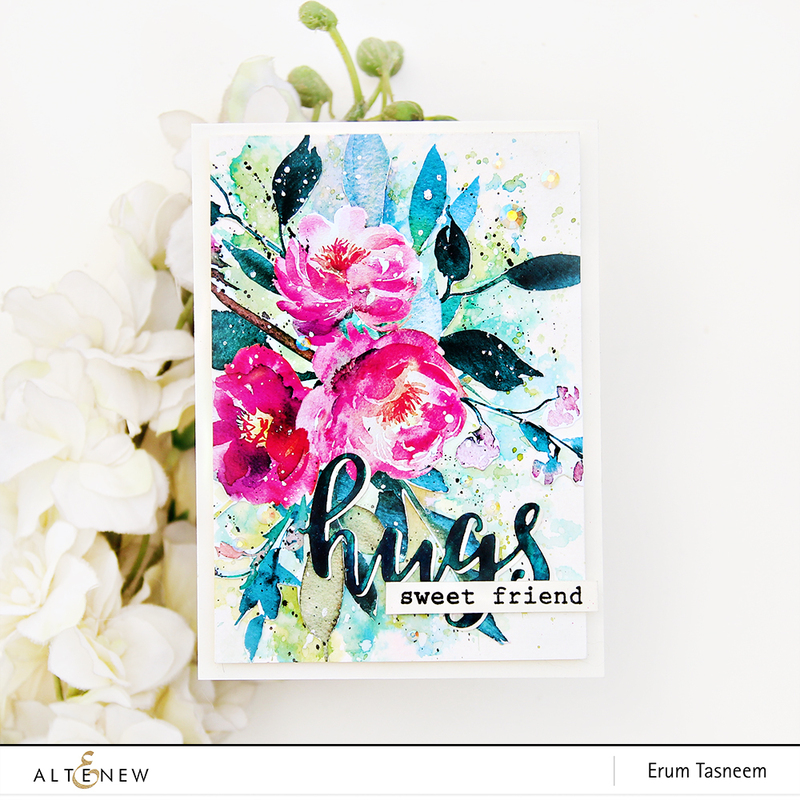 I used the 36 Pan Watercolour Set to add a colour wash to my background, adhered a die cut and stamped sentiment and I was done! 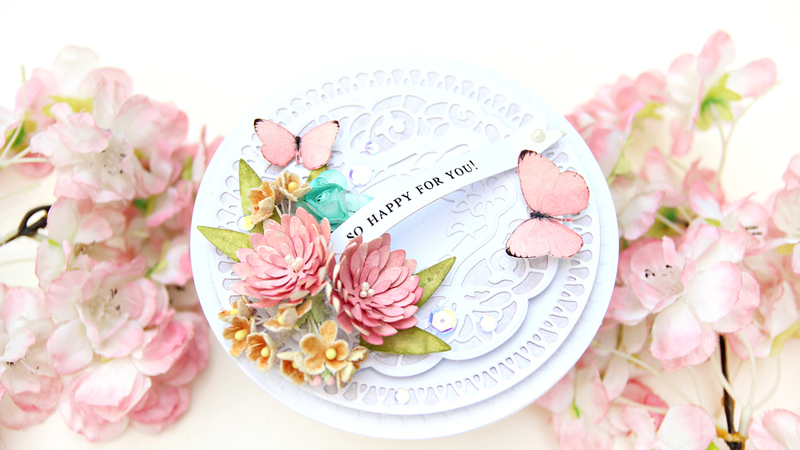 This card too features the Summer Garden Paper Pack. I added light watercolour using the 36 Pan Waterolours in a dripping fashion to go with the pattern. That is all from my side! 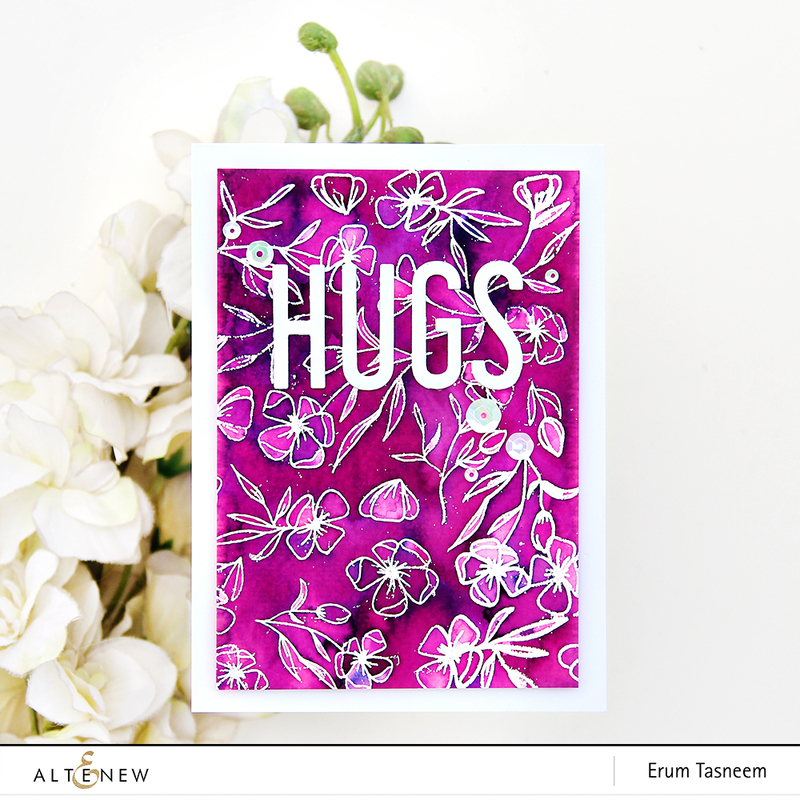 Altenew will also draw a winner to receive a $20 gift certificate from the comments left on each designer’s blog. 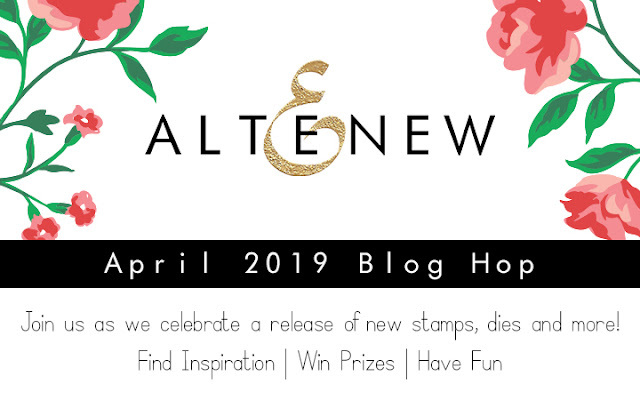 All winners will be announced on the Altenew Card Blog on 5/4/2019. I hope you liked my cards! Next stop on the hop is the absolutely brilliant Laurie Willison. I have a new video for you! If you want to check the post, you can find it Here. Hi there everyone! 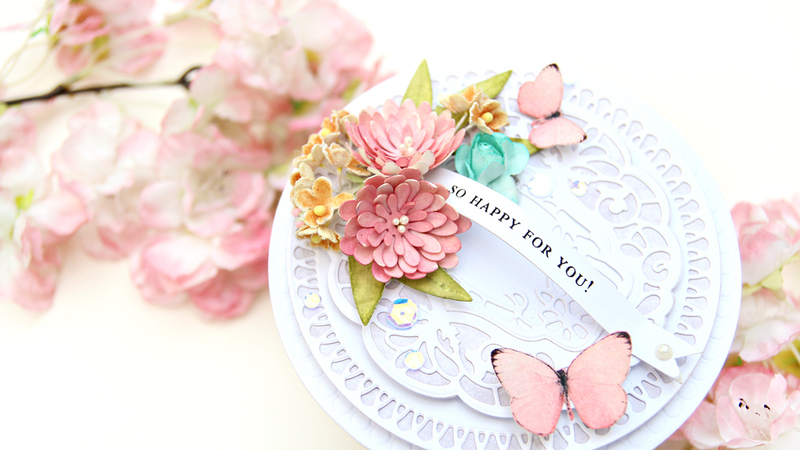 I am here today to provide you with a bit of inspiration for the Vintage Treasures Collection. Though this collection is so beautiful that you will be inspired just by looking at it! 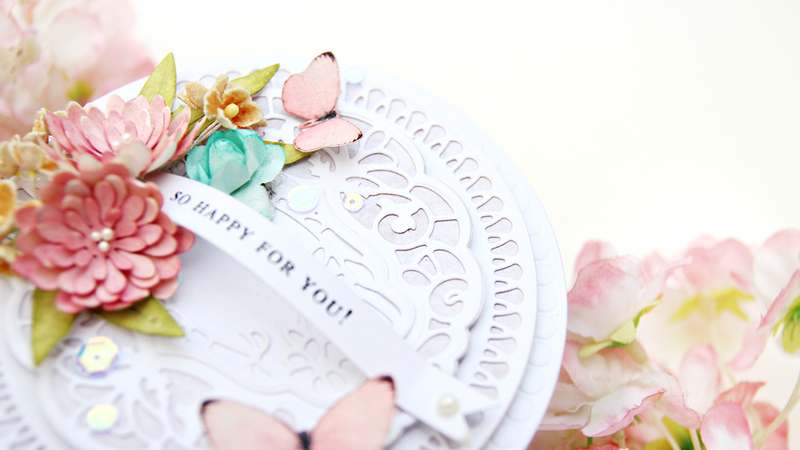 Since there is a lot of die cutting involved, I thought it’s best to list down the instructions in steps. Next, I took a 12” x 6” of white cardstock. I scored this at 6” and folded it into a card. I used the largest, plain circle die from the previous dies and placed it in a way that it cuts our a partial circle and we end up with a piece of the fold at the top. This will be our card base. The first circle that we cut earlier is going to go on top of this card base so that we end up with a full circle card shape from the front. But for now, I will set this aside and die cut the remaining layers. For the remaining layers, I will use the Brilliante Rondelle Die Set and use all the dies except for the smallest to die cut one design of each die. 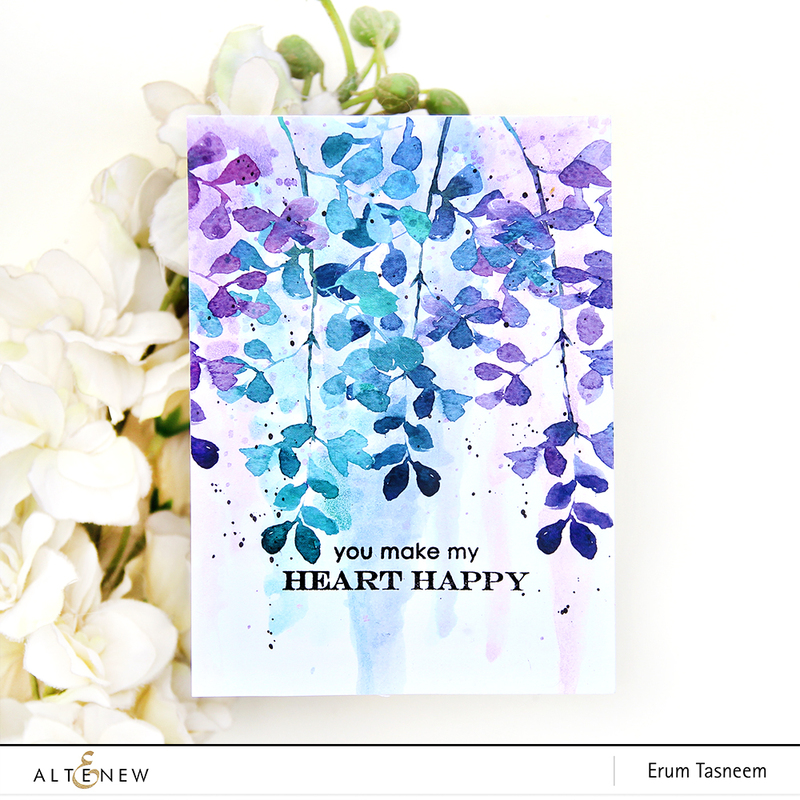 Next, I will use the full die for the largest and the medium dies and die-cut a piece each so that I can adhere these behind the lacy die cuts. But before adhering them, I will add a light colour wash of grey watercolour on the layers and then adhere them behind the die cuts. This will make the lacy die cut more prominent. After this, I will adhere all the layers on top of each other with foam tape and then begin work on the card front. For the flowers, I used the Cinch and Go V die and die cut a piece of cardstock twice so that I end up with two flowers. 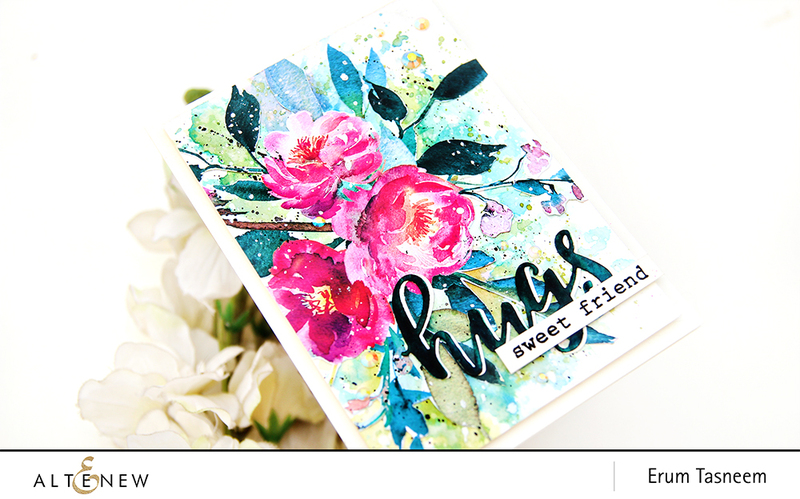 I used distress inks as watercolour to ink the flower layers, you can also use a coloured cardstock or ink daubers to add colour to the flowers. While they are still a bit moist from the watercolour, I took a flower embossing tool and embossed the petals following the shape of the petal from the tip to the center. 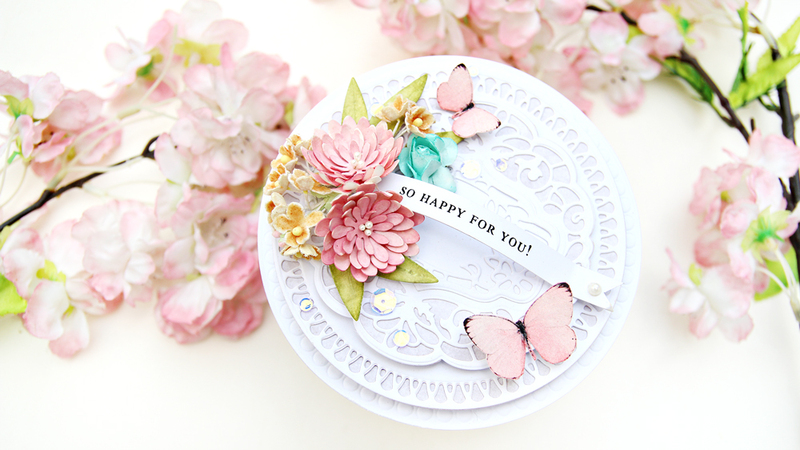 The ball of the embossing tool helps in giving a nice curl to the petal and after I am done with all the petals, the flower has a cupped shape. I will continue to do this for all the layers and then adhere them together with glue in a way that the petals alternate to the petals in the layer below. To colour the leaves, I used a sponge and Peeled Paint Distress Ink. To add a little bit of bling, I will take three stamens and glue them onto the flower center. This is easy to do since the flower already has a hole in all the layers so I just inserted the ends of the stamens through it and glued it from behind. Next, I stamped a sentiment on a strip of cardstock. I cut one end in a fishtail cut and adhered it onto the card front with a glue gun in an arch. Then I arranged my flowers starting with the first two that are handmade and then to make the spray a bit fuller, I also added some store bought flowers. If any of my instructions are hard to understand, I do have the entire process video for you. You can watch it below or on YouTube. I hope you enjoyed today’s tutorial. 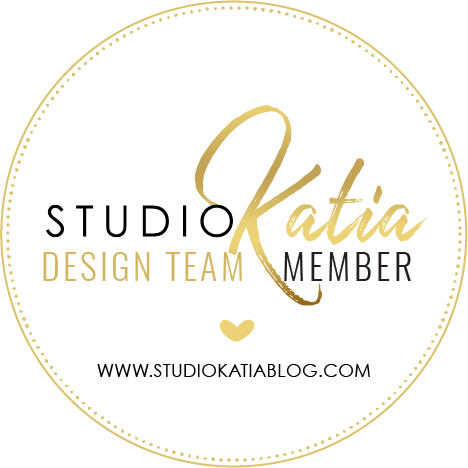 If you want to check out more tutorials from me, you can visit my YouTube channel and blog. Thank you, Spellbinders, for having me. And, thank you, everyone, for stopping by!